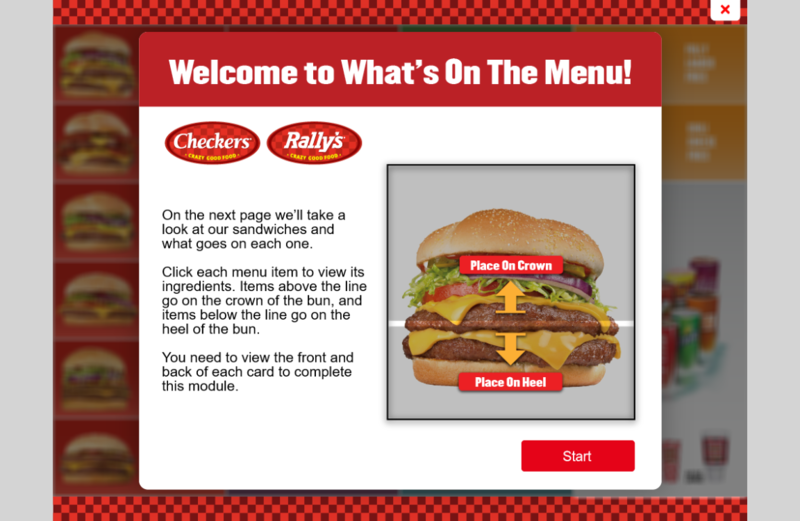 Checker’s/Rally’s is a national fast-food chain that prepares each order fresh for their guests. Every sandwich maker employee has to learn how to craft all 25 entrees on the restaurant’s extensive menu! Their onboarding process for new-hires was time consuming and lacked assessment tools for managers to know when an employee was fully trained. 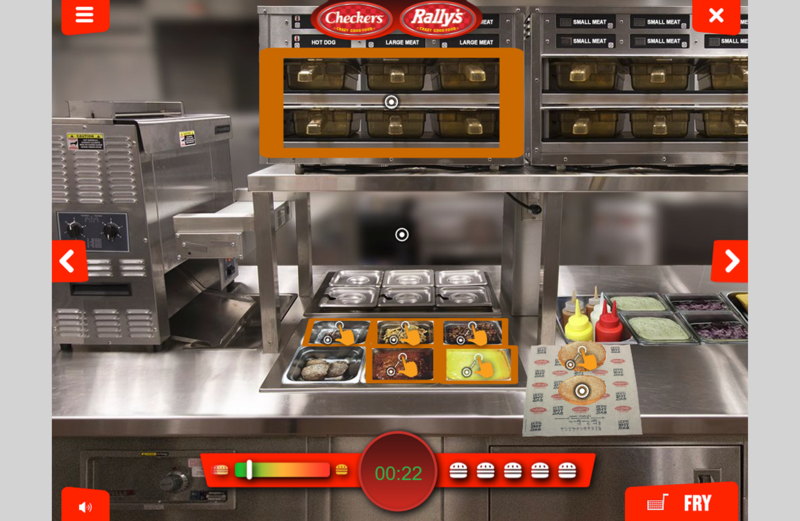 Checker’s/Rally’s partnered with Designing Digitally, Inc. (DDINC) to create a serious game that teaches learners how to craft the sandwiches and entrees, then tests their ability to make them quickly and accurately. 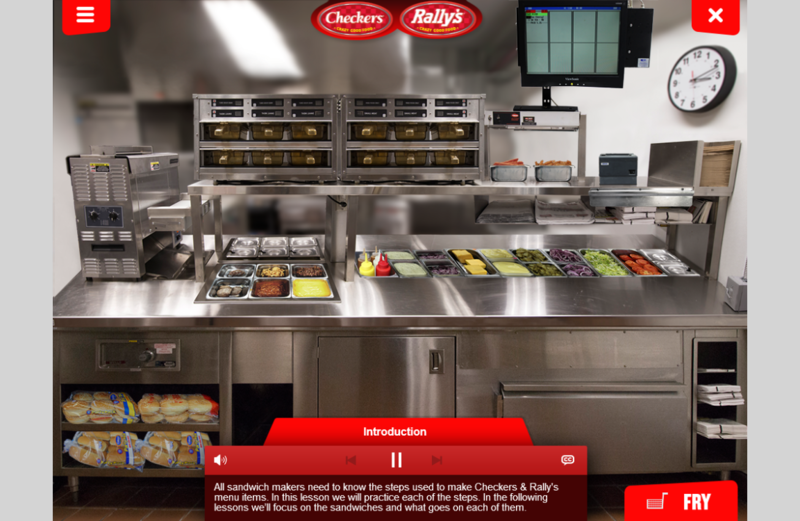 DDINC built four separate training modules to ease the learner into the sandwich-making process. 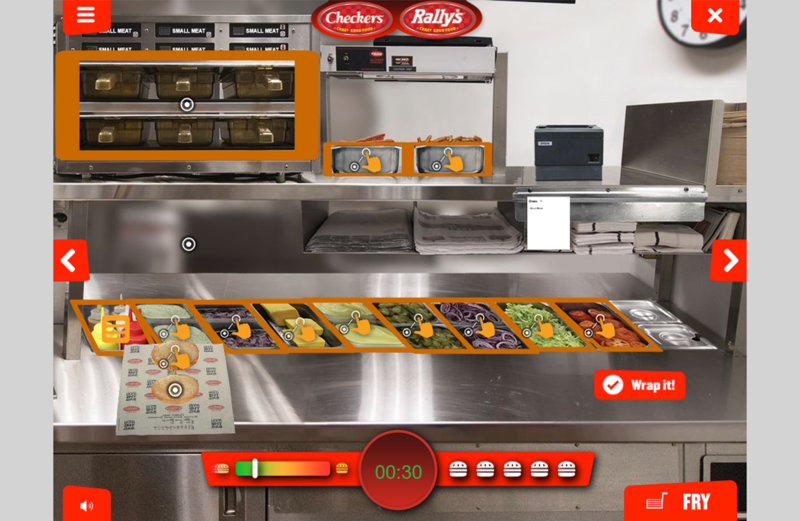 First, they use digital flashcards to learn about the menu items, then they tour the sandwich station to discover where ingredients are stored. After that, they practice making all of the menu items. They’re then prepared to play the sandwich making game, where they race to accurately fulfill the orders they receive. The learner must demonstrate proficiency in the game before practicing with real ingredients in the restaurant. The biggest obstacle DDINC faced was making the game as realistic as possible, despite the fact that the learner is interacting with a 2D computer or iPad screen. 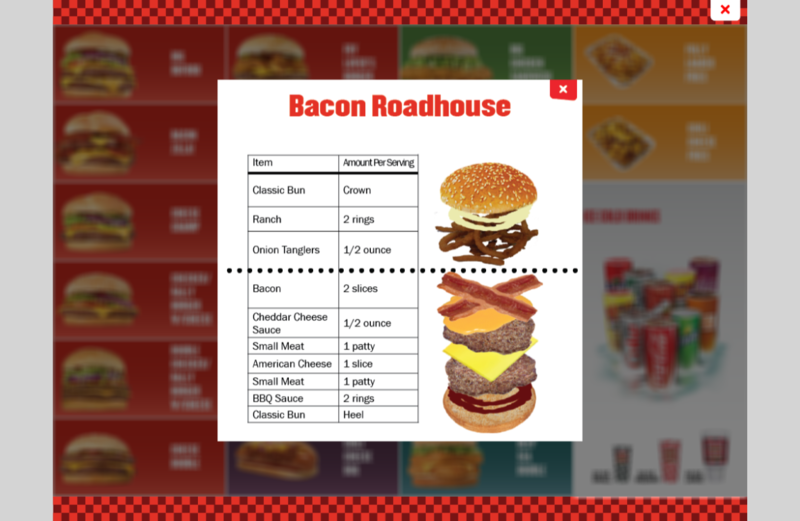 DDINC built the modules with real photos of the kitchen and entrees, and created icons to help learners realize where they could click and drag ingredients. 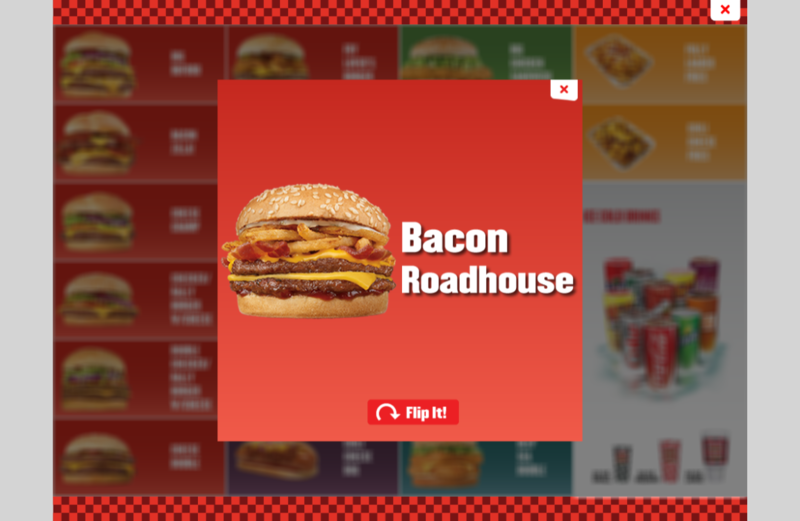 When necessary, DDINC incorporated menus so that learners do not get frustrated by accidentally clicking on the wrong item in the scene. 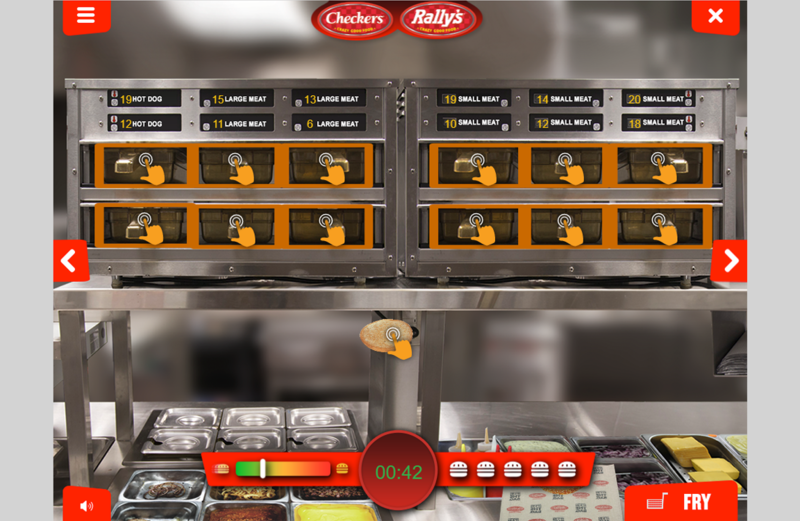 The modules provide a thorough immersion into the sandwich making process. 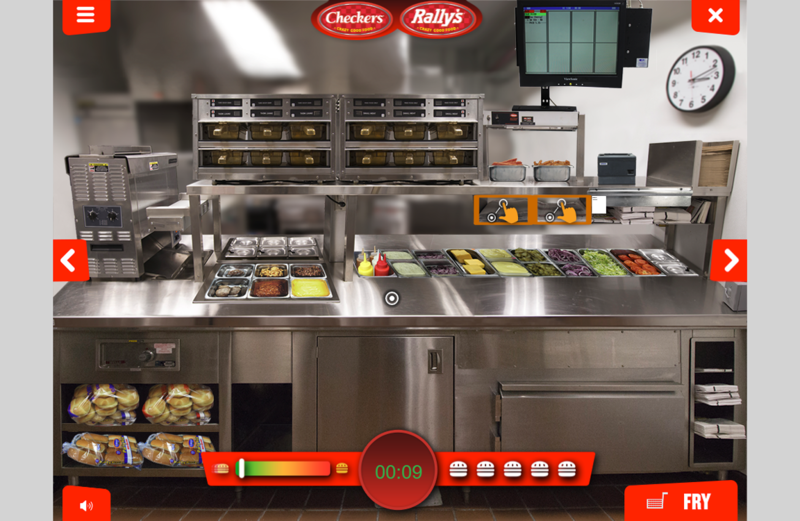 Learners can complete the new training experience must faster than the old program Checker’s/Rally’s offered. In addition to saving time, the employees feel more comfortable when they start making the entrees in the kitchen because they have already learned where to reach for items, as well as the proper amount of toppings or condiments to apply to each sandwich. Rather than using their own judgement, managers now have quantitative data to prove when new-hires can effectively fulfill orders. For security reasons, please answer this math question in the box below: 5 + 2 = ?